At least there were ducks here! With the weather calming down we decided we’d make a move today. Having been in Goole for almost two weeks now a change of scenery was much needed. Mick got the bike out and cycled to Tescos to stock up on milk, bread and some green veg to go with our roast tonight. He also got a Sunday newspaper to make up for not getting our usual yesterday. Checking the river levels after the weekends storm means we won’t be going too far for a few days even if the forecast is looking a lot drier. 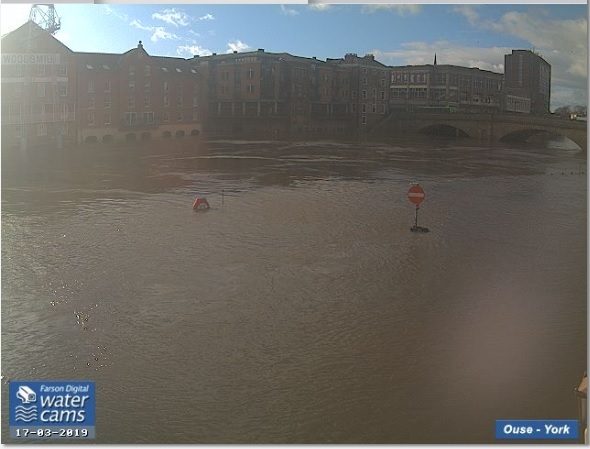 The Ouse in York is on the rise again, getting higher than last week so we won’t be heading that way. Just gone midday we undid the macrame, managing to swap ropes back to their normal places and pushed off. Not a totally calm day the bow moved out by itself. 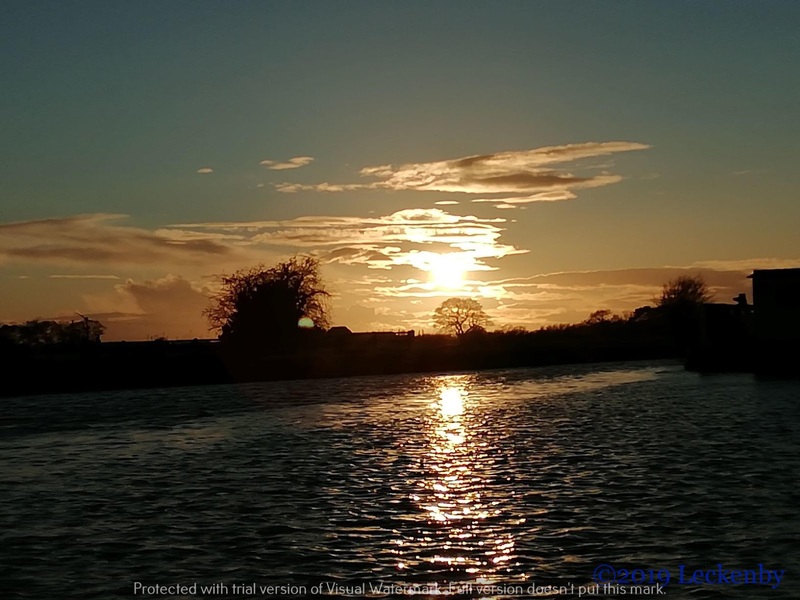 When we’d moored we’d winded so that any lapping waves would hit the stern and not keep us awake, a good decision, but it meant we needed to wind again. 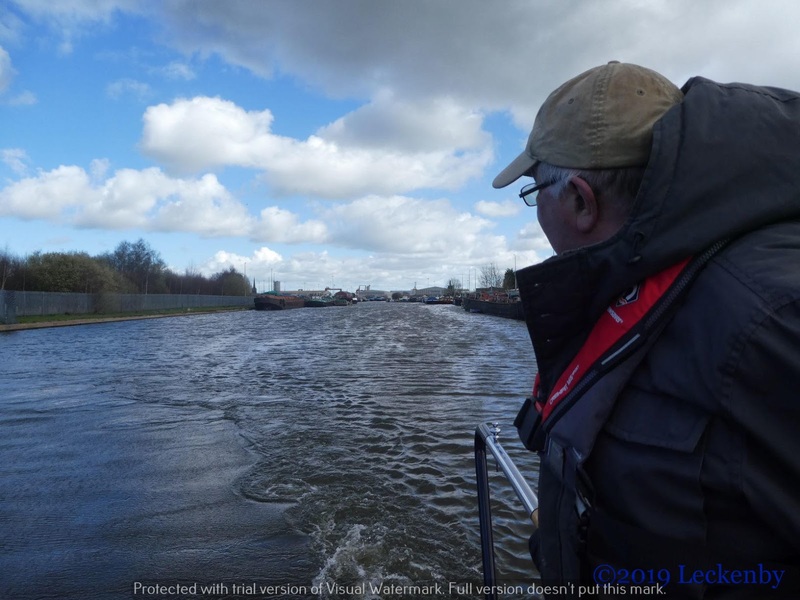 Mick backed up a touch to get a better position and then motored Oleanna round at speed, the wind trying to push us back into Goole. But with determination Oleanna made it round and we were on our way waving goodbye to the docks. A head wind isn’t that pleasant when cruising, but putting our hoods up we forged onwards, so glad to moving again. 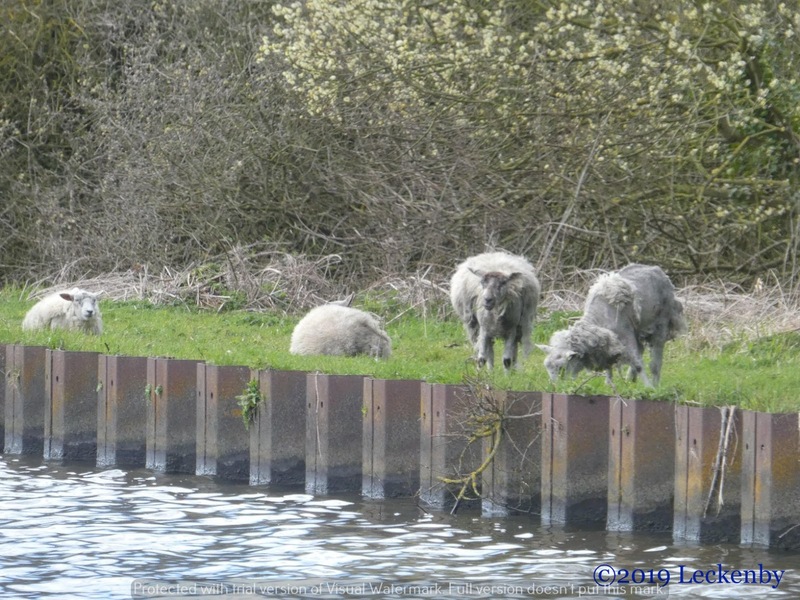 Four of the desperado sheep were still cutting the grass as we passed, maybe they are the local Fountains team! 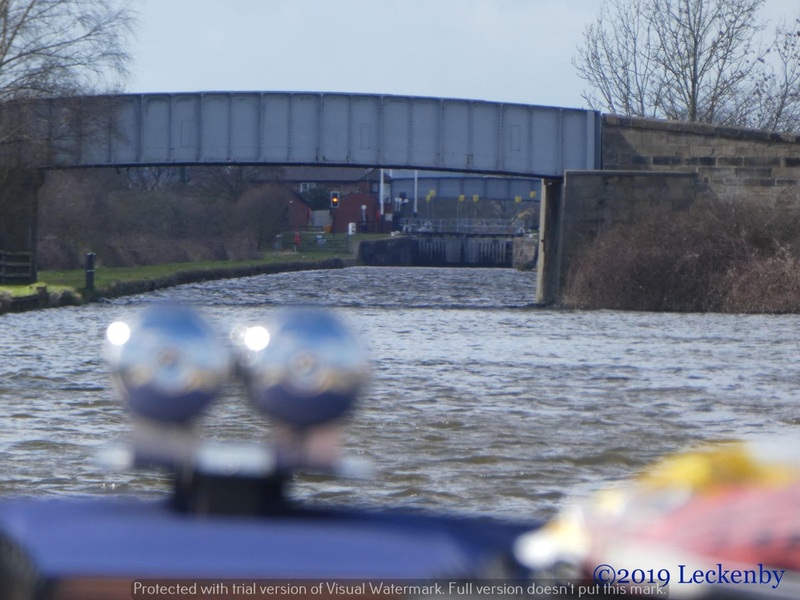 The three mile straight kept coming, all the time windy but when we got under the M62 bridge things got a hole lot rougher. Waves with white horses whipped up at our bow. Blimey that wind! Even Oleanna looked a touch pensive. So glad we’d not tried this a few days ago!! There was a mile of this relentless gale until we turned the 90 degrees bend and instead of us being pushed to the side the wind calmed down a touch. Sykehouse Reservoir was busy. 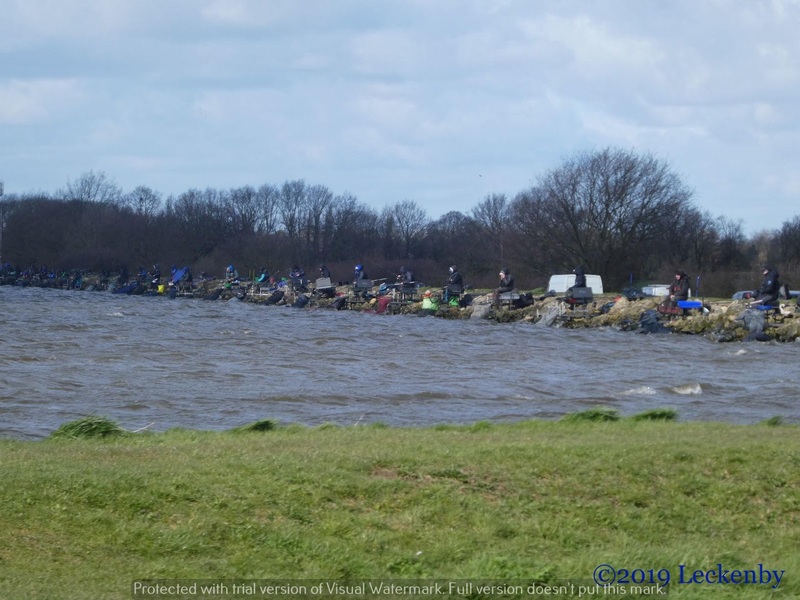 A grumble of fishermen, hunkered over their poles filled one side of the water. 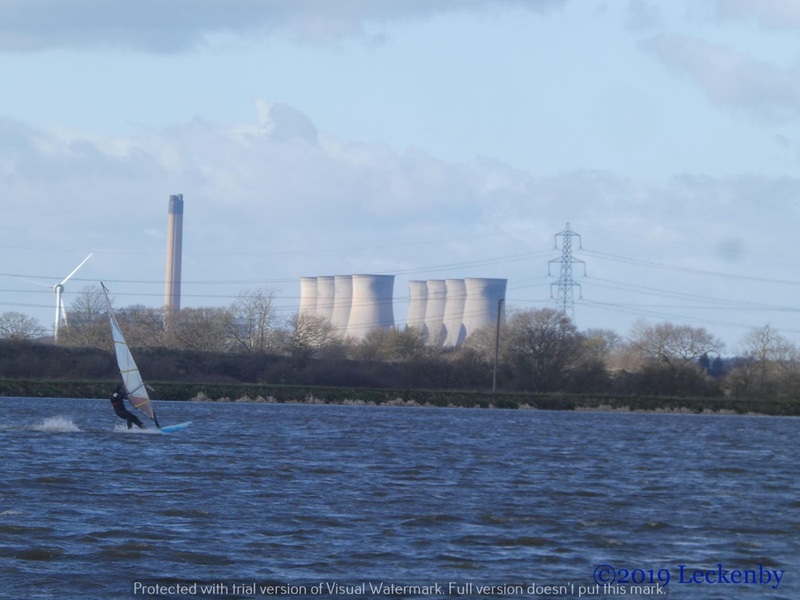 Four windsurfers were making fast work in the breeze, experts at turning swiftly, we only saw one of them take a tumble into the water. 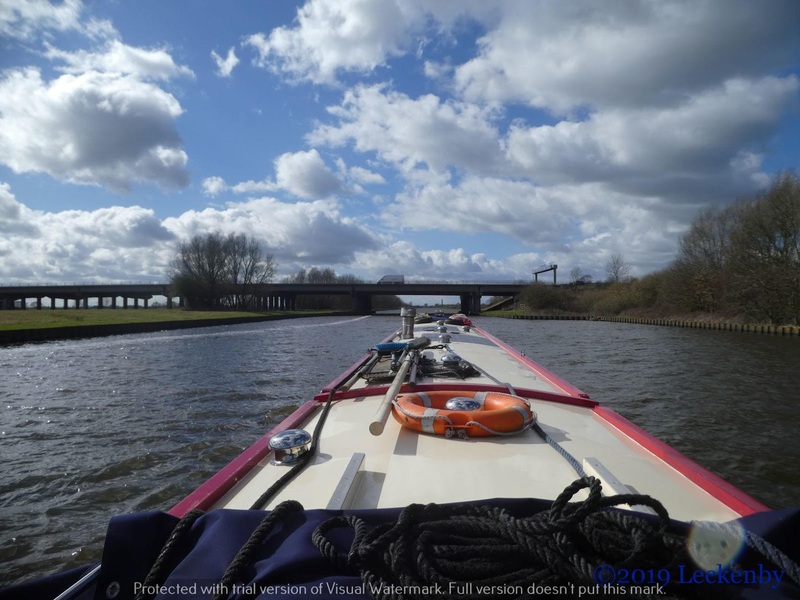 Only a glance down the New Junction Canal today, we were heading straight on towards Pollington, glad it was only a half hour away. The wind was now steady and waves met our bow all the way. Ahead the amber light at the lock waited for us, but instead we pulled in at the end of the visitor moorings, closest to the water point. The hoses were connected (one didn’t quite reach) and the water tank filled as we had some lunch. We’d moved at last, pootled our way through a head wind for eight miles. A new view, water just there what more could we want. Some trees would be nice! There has been quite a bit of cutting back alongside the moorings. The nearest trees are across the drain that runs along side. The drain is quite full of water and far too wide for four little black and white legs to spring over. 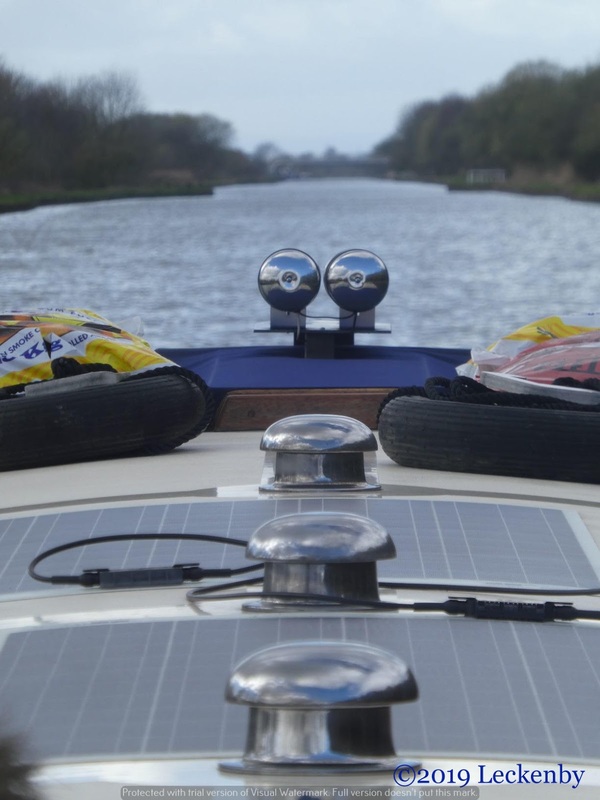 0 locks, 8.01 miles, 1 wind, 1 Sunday newspaper, 1 cabbage, 1 empty wee tank, 2 much rubbish, 1 mile of white horses and spray, 1 smiling boat, 2 hoses, 1 full tank, 1 disgruntled cat, 1 Sunday roast, 2 friends in the Blue Bell, York drinking pints of T, 2 boaters enjoying the sunset instead. 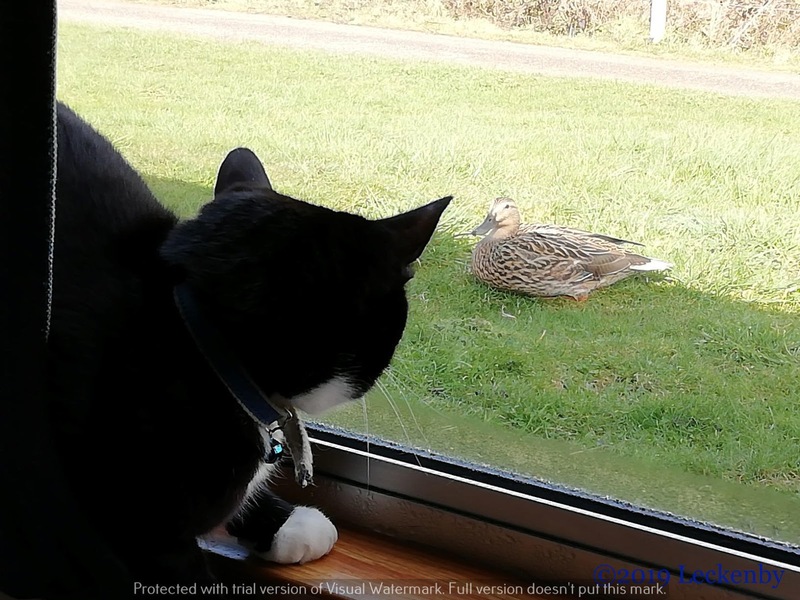 This entry was posted in Uncategorized on 19th Mar 2019 by pipandmick.